Making small lifestyle changes could reduce your stroke risk. Every one-point increase toward a better health score was associated with an 8 percent lower stroke risk. A better health score was associated with a similar reduction in stroke risk in blacks and whites. Every one-point increase toward a better score was associated with an 8 percent lower stroke risk. A better score was associated with a similar reduced stroke risk in blacks and whites. While black participants had worse Life’s Simple 7 scores than whites, the association of the Life’s Simple 7 score with stroke risk was similar in black and white participants. “This highlights the critical importance of improving these health factors since blacks have nearly twice the stroke mortality rates as whites,” Cushman said. Cushman and colleagues reviewed information on 22,914 black and white Americans age 45 and older who are participating in a nationwide population-based study called the Reasons for Geographic and Racial Differences in Stroke (REGARDS). Researchers collected data in 2003-07 by telephone, self-administered questionnaires and at-home exams. Participants were followed for 5 years for stroke. Many of the study participants live in the Southeast region of the United States where death rates from stroke are the highest. During the study, 432 strokes occurred. All seven health factors in Life’s Simple 7 played an important role in predicting the risk for stroke, but having ideal blood pressure was the most important indicator of stroke risk, researchers said. Researchers also found that those who didn’t smoke or quit smoking more than one year prior to the beginning of the study had a 40 percent lower stroke risk. Each year, about 795,000 people in the United States have a stroke — the No. 4 killer and a leading cause of long-term disability. Every four minutes, an American dies from stroke. People can check their health status at www.mylifecheck.org. Co-authors are Ambar Kulshreshtha, M.D., M.P.H. 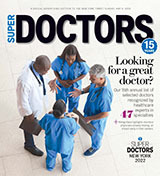 (first author); Viola Vaccarino, M.D., Ph.D.; Suzanne Judd, Ph.D.; Virginia J. Howard, Ph.D.; William McClellan, M.D., M.P.H. ; Paul Muntner, Ph.D.; Yuling Hong, M.D., Ph.D.; Monika M. Safford, M.D. and Abhinav Goyal, M.D., M.H.S. Author disclosures are on the manuscript. REGARDS is funded by a cooperative agreement from the National Institute of Neurological Disorders and Stroke, National Institutes of Health, Department of Health and Human Service.